Final Fantasy VI is still a high-point in Square Enix's long-running franchise even after all of these years. It's not especially challenging, but you'd be hard-pressed to find a better cast of characters or such a desperate adventure in video gaming. Since 1994, dedicated fans have combed the game high and low for secrets, bugs, and glimpses into the lore. It's safe to say that everything in the game has been found at this point. However, there are secrets that lie beyond the scope of the game, ones that only the creators can provide a look into. 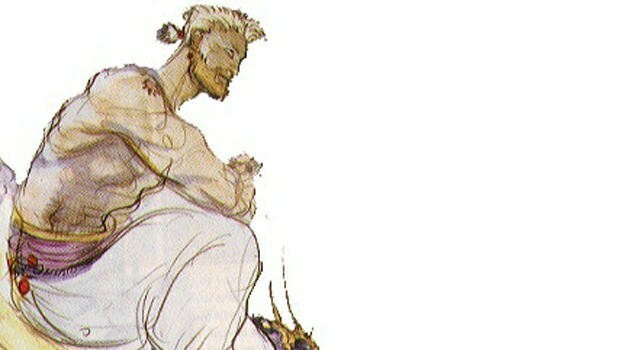 Over at Shmupulations, a website dedicated to translating old Japanese game developer interviews, a recently translated talk with Final Fantasy creator Hironobu Sakaguchi and his team for Final Fantasy VI provides a look into some of the secrets behind development, especially regarding popular characters like the original fate of Terra, the reasoning behind Edgar's womanizing, and a death scene for my favorite character, Sabin, that was thankfully left on the cutting floor. Sakaguchi: In the first half of the game, her personality is very passive. We did that because we wanted to show her growth as the story progresses. In the process of being manipulated and used by other characters, she gradually awakens to her own destiny. The awakening of the self, of one's own humanity—those are the themes of her character. At the end of the game, we originally were going to have Terra disappear along with all the other Espers. We thought it would be a waste, though, to have Terra erased like that just when she had awoken to her humanity. So instead we made her lose her magic powers and remain in the world. Tanaka: In the beginning of the planning, Edgar was the stereotypical "sleazeball." But I thought was too cliched, so I removed that aspect of his personality. As for his love of women, because he lost his Mother as an infant, he has an especially strong attachment to women generally. Moreover, his first crush/love (an older woman—one of his Father's cousins) was always very firm in telling him he must grow up to be a good man, so Edgar studied with great fervor the art of chivalry. Ultimately, this woman was killed in a political rivalry, and Edgar's feelings toward her remained forever unrequited. Her spiritedness and lively wit, however, left their mark on Edgar and have influenced his personal vision of the ideal woman. He's a little bit different from the typical "ladykiller" character because he was written by a woman (me! ), so if anyone notices that I'll be very happy. During the development, for the Tzen event in the World of Ruin, originally if the time ran out, Sabin would actually die! Then if you came back to Tzen with Edgar in your party, it would trigger a scene with Edgar wandering forlornly around Tzen in the middle of the night, searching through the rubble in vain for his brother… "I'm coming to save you!" But we decided that the World of Ruin already had more than enough dark stories, and changed it for the final version of the game. For Sabin fans, it's a good thing we did! Yes, thank you for not killing Sabin! Who else can suplex that train!? How heartless can you get! That would be like killing Aeris ten times over! The interview also provides a view into different ways that the team wanted to make Gogo and Umaro recruitable, alternate histories for Locke, and even another character named Angela, who would flirt around with Cyan. It's an interesting look into a game that is always open for new revelations. Give it a read for more details.